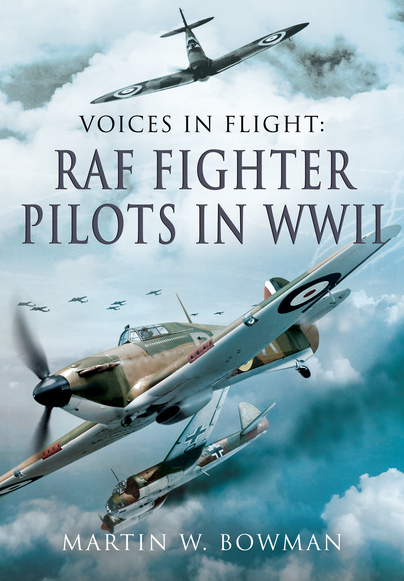 You'll be £25.00 closer to your next £10.00 credit when you purchase Voices in Flight: RAF Fighter Pilots in WW II. What's this? This is a pulsating account of the young RAF fighter boys who flew Spitfires, Hurricanes and Defiants in England against the Luftwaffe and from Malta 1940-45 against the Regia Aeronautica. Their story is told using combat reports and first person accounts from RAF, German and Commonwealth pilots who fought in the skies in France in 1940, in England during the Battle of Britain, and in the great air offensives over Occupied Europe from 1942 onwards. Chapters include the stories of Wing Commander D. R. S. Bader, Wing Commander Adolph Gysbert 'Sailor' Malan, Oberleutnant Ulrich Steinhilper, Flight Lieutenant H. M. Stephen, Squadron Leader Robert Stanford Tuck, 'Johnny' Johnson, Squadron Leader M. N. Crossley, Squadron Leader A. McKellar, 'Cowboy' Blatchford and Squadron Leader D. H. Smith, an Australian veteran of the Battle of Malta and many others whose names have now become legendary. Excellent book by Martin Bowman about the (mostly young) RAF fighter pilots that battled the German Luftwaffe in the second world war. The book consists of scores of first hand accounts by the flyers themselves about their air battles and lives in that period. Lots of famous names, but also lots of names you’ve never heard of. ALL did a splendid job in a very difficult time in history. It is also interesting to see how many non-UK pilots took part in the battles. Even Americans that volunteered long before the US was officially engaged in the war ! There are no less than 23 chapters in the book and 250 pages. One may think that this is all about the ‘Battle of Britain’ period, the Summer of 1940, but that’s not the case. Other periods and battles are covered too, such as the Battle of Malta, night fighting, the rather strange ‘Defiant’ aircraft and its pilots and many more. There’s also a ton of interesting photos included, showing many of the pilots and their aircraft ! This well-researched book by aviation historian Martin Bowman brings together some of the most famous names, alongside several others that are perhaps less celebrated.